Ferrino Sports Fitness Club is now open at the 5th Street Marina. A new state of the art 5,000 sft gym facility complete with cardio equipment, free weights, kickboxing, and artificial turf running track. 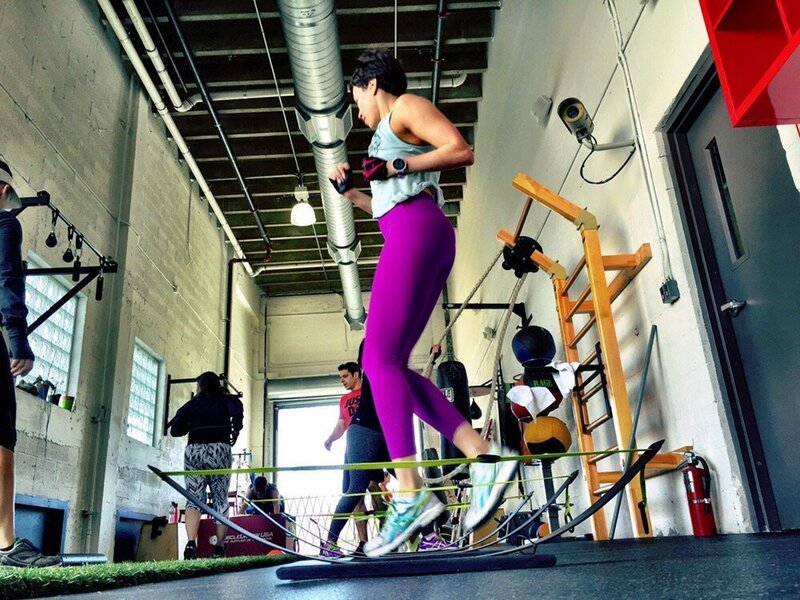 With three (3) in house personal trainers, Ferrino Sports specializes in one on one training, but also provides regular no contract gym memberships, group bootcamp classes, fitness assessments, a massage therapist, and triathlon focused training. With the concept by Eduardo “Ferrino” Silva, one of Miami’s most sought after fitness coaches, Ferrino’s strives to create a boutique club and gym experience without the pretentiousness. The Club provides fitness lifestyles for all levels, from the the athlete needing one-on-one specialized training to their unique BootFit group classes. Located just 5 minutes from Brickell and downtown Miami, come experience working out on the Miami River at Ferrino Sports. You can find out more on their website at Ferrino Sports Fitness Club, or on Yelp, or fill out the below contact form and we will contact you. Eduardo and Kate team up and provide the best group fitness class in Miami. It’s an amazing environment to work out right next to the Miami River. There’s Circuit training, weight training, ropes, car pushing?, who knows, it’s always different. We will get back with you within 24hours.